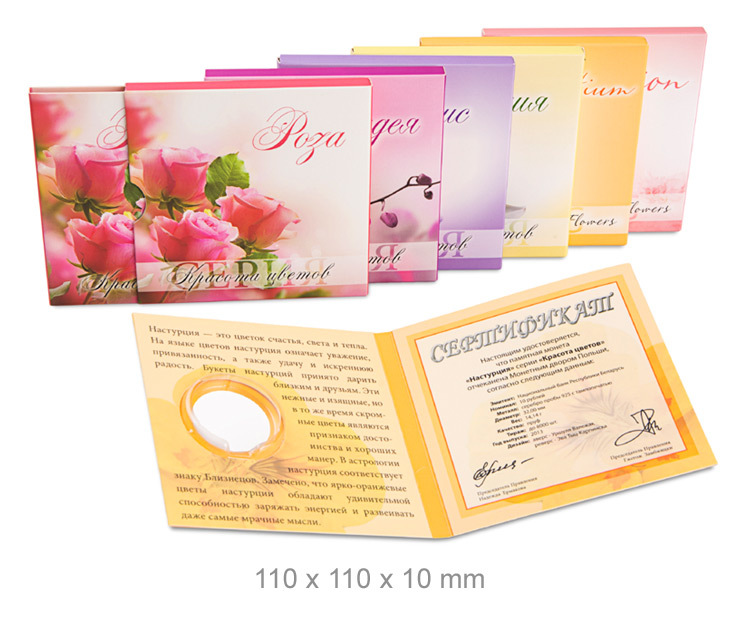 Our company specializes in the production of packaging for mint products. We have completed dozens of orders, ranging from simple, single-element packages for a single token to complex displays for collector sets. 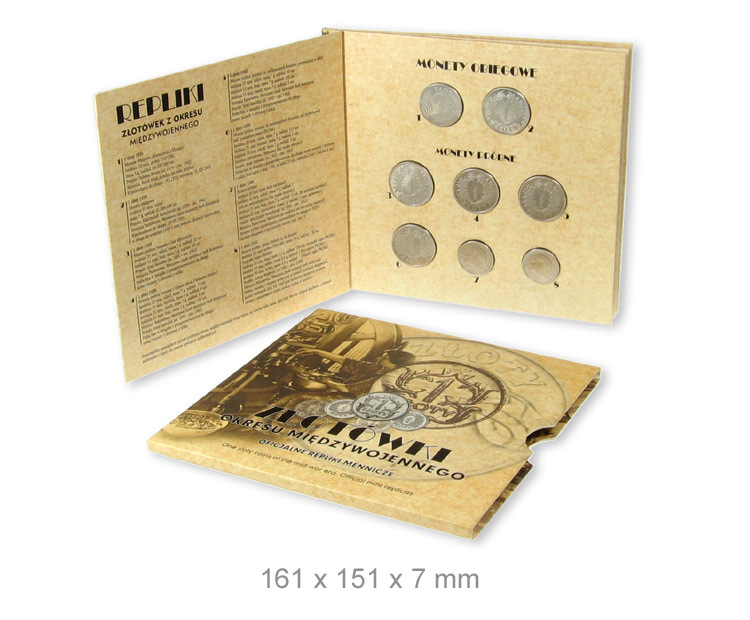 We produce both the packaging used for subsequent confectioning of coins (for example with sockets for the deposition of coins in capsules) and etui with permanently glued numismatic objects sealed in blister foil. 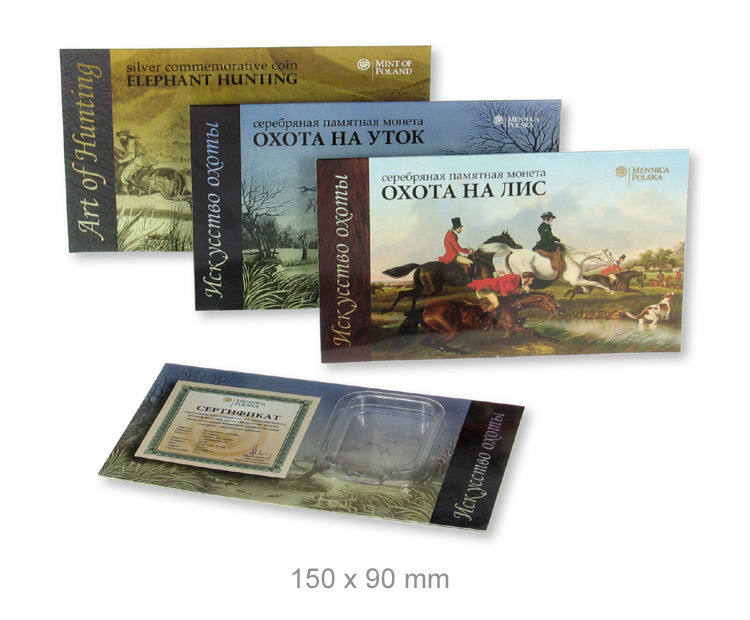 boxes for numismatic objects with flocked inserts. Note: below there are photos of real products, not computer visualizations. 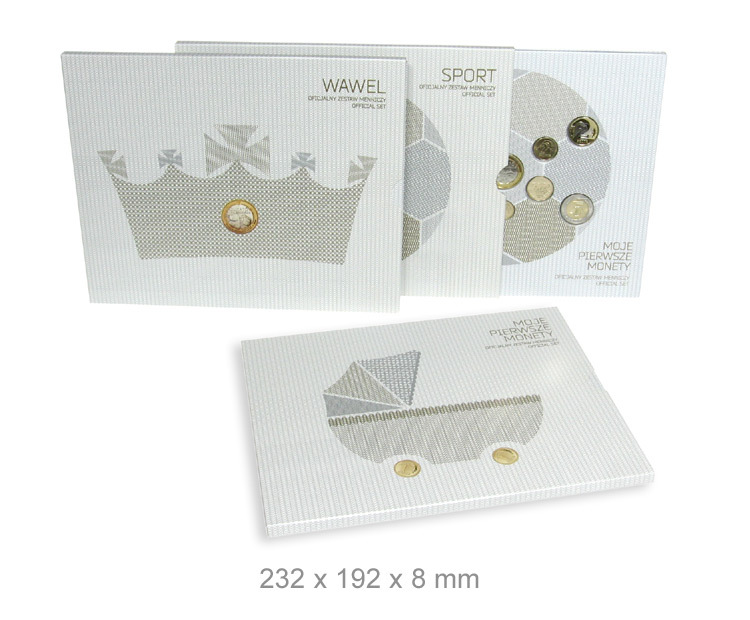 Two-piece paperboard etui with a drawpiece. 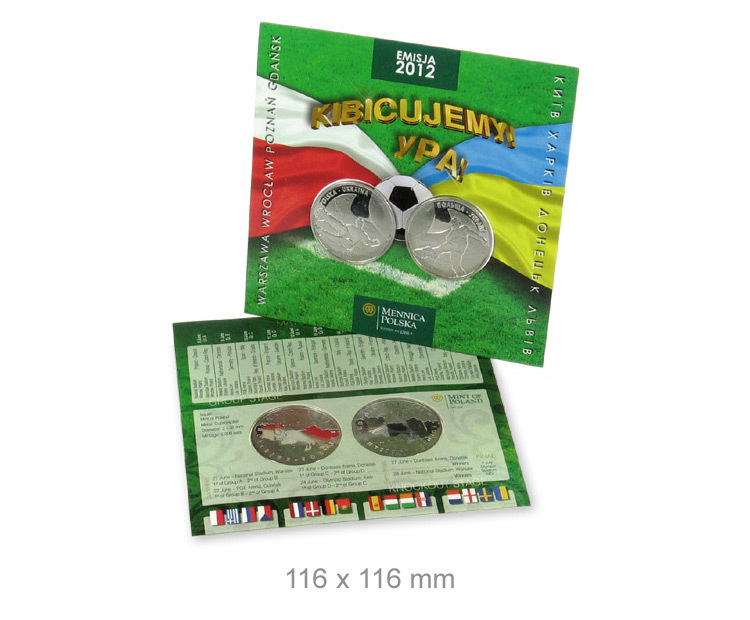 Packaging with coins sealed in blister foil. 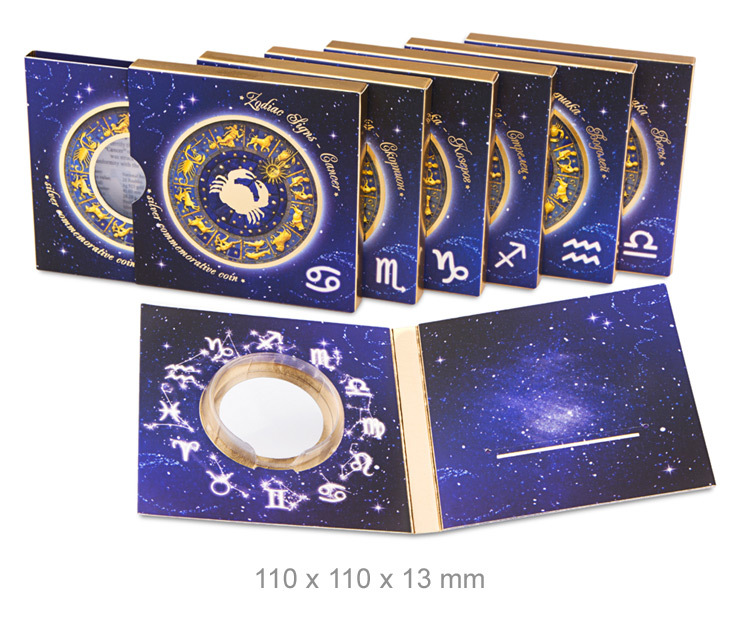 Book etui with coins sealed in blister foil. Two-piece etui with a drawpiece. Coated cardboard inside. 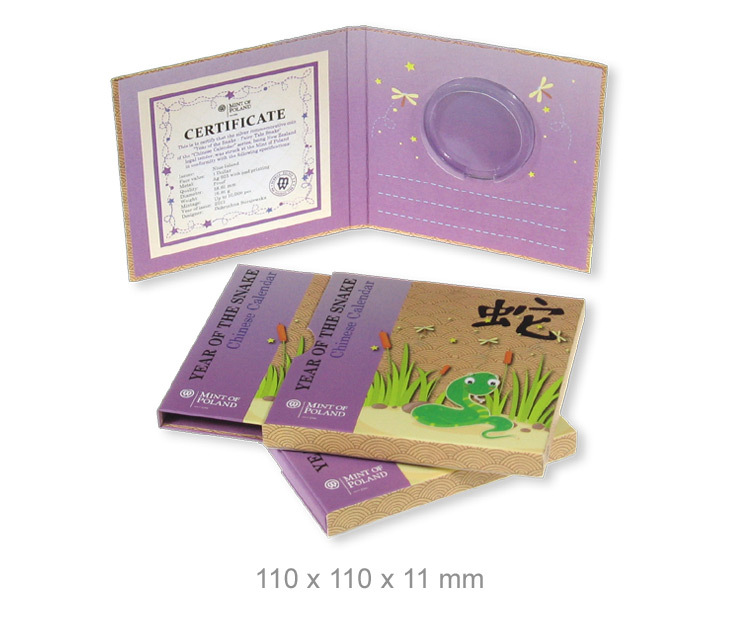 One-piece packaging with a round drawpiece. 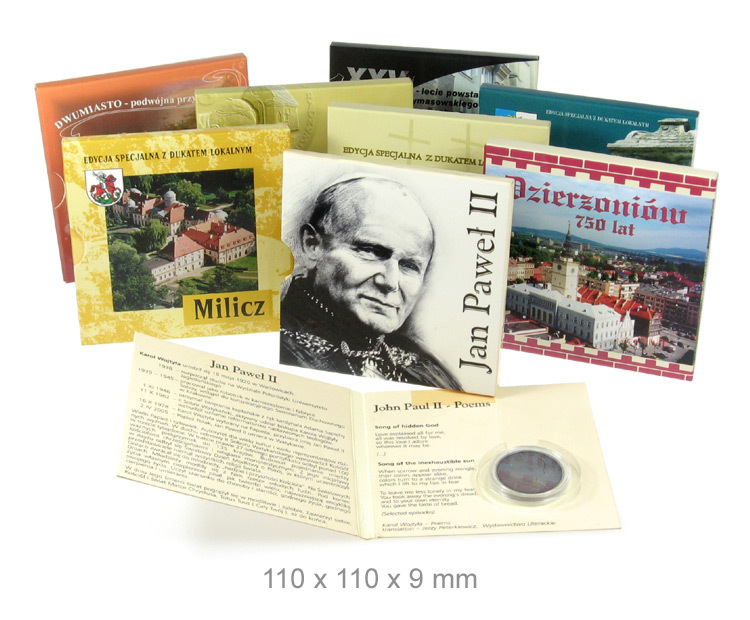 One-piece packaging with a rectangular drawpiece. 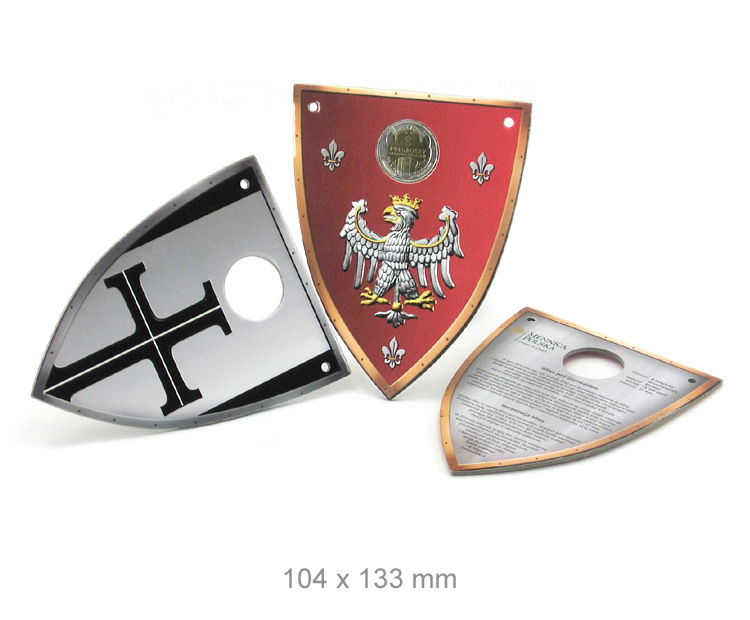 Solid paperboard shields. Coins mounted push-fit. Multi-piece cardboard/paperboard etui. Laminated with matt foil. Two-piece case with gildings and UV selective varnish. 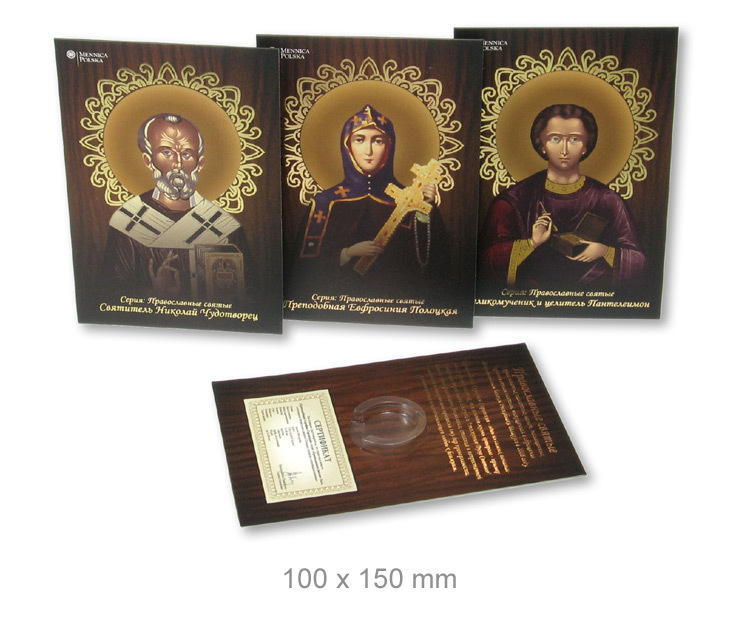 Two-piece case with soft-touch foil and UV varnish. Box with foam filling and magnetic closure. 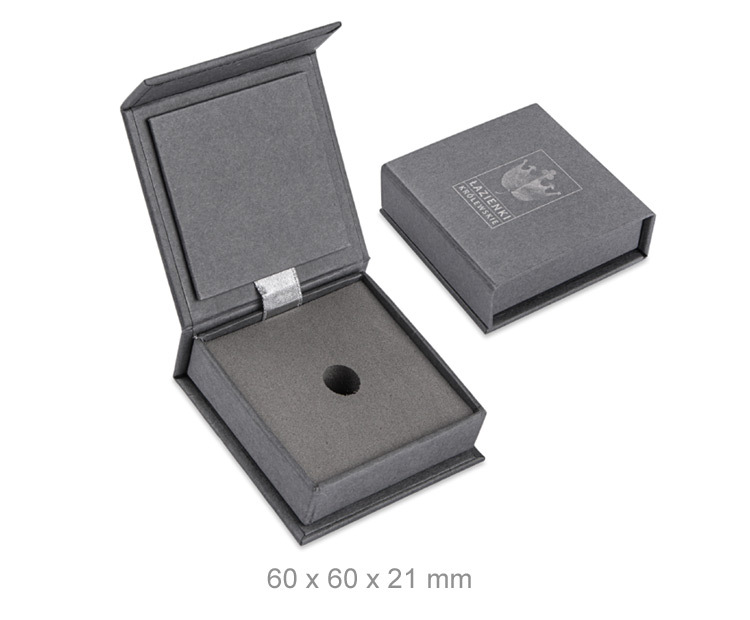 Case for two coins in capsules with foam filling.